On January 30, 1865, Governor Thomas Fletcher had an order issued providing for the creation of the Missouri Militia. This organization was made up of independent companies that were referred to by county designation as opposed to numerical designation. Its troops were provisioned by the Federal government and paid, at least in part, by imposing a fee upon “disloyal” citizens residing within the individual counties in question. Sixty-one companies were formed, fifty-five of which are identified in the chart below. Chariton County M.M. Peter R. Dolman (Capt.) 91 Note: This company became Company A, 76th Missouri Militia Regiment. Dolman was appointed colonel of that unit. See, Missouri Militia (State Convention). Howard County M.M. William R. Forbes (Capt.) 5 Note: Where one county had multiple independent companies, the unit would have been referred to by the name of the commanding officer. Source: Annual Report of the Adjutant General of Missouri for the Year Ending December 31, 1865 (Jefferson City, Mo. : Emory S. Foster, Public Printer, 1866), pp. 694-699. Name spellings remain as they were in the original document. The Missouri Home Guard was unlike the Home Guard organization in any other state. It was controlled by the national government, as opposed to the state government, and existed only for a few months. Closely related to (and sometimes considered a part of) the United States Reserve Corps (USRC), the Home Guard was a major component of the Federal force that bore the brunt of the fighting in Missouri in the first months of the war. Despite the key role it played, records are sparse on the Home Guard. One post-war Congressional report stated it consisted of 241 companies, 6 regiments, and 22 battalions, a partial listing of which appears below. This inventory is nowhere near complete, and the names of large numbers of units that were formed seem to have been forever lost to history. Those that have been identified seem, in large part, to be the consequence of members of the individual units having taken a small amount of time to compile a roster of the troops in their commands. An observant reader will note a discrepancy between the number of regiments the Congressional report listed and the number named on this chart. This appears to be the result of battalion-sized units being listed as regiments in some primary sources. Brief notes are sometimes included below regarding the units and/or their commanding officers. This is not to slight any other men or units that went on to do noteworthy deeds—it is merely the consequence of having had specific information very close at hand as this list was being drawn up. Shibley’s Point Independent Company Capt. Jacob R. Cook 164 June-Sept.
Shoal Creek Rangers Capt. James R. Murphy 80 ? Cape Girardeau Independent Battalion Maj. George H. Cramer 4 companies June-Sept.
Fremont Rangers Independent Battalion Lt. Col. Lindsay Murdock 3 companies ??-Dec. 10 8 KIA/1 DOW/2 MIA Note: Not to be confused with two unrelated independent companies operating under the “Fremont Rangers” name in Dade and Johnson counties (see below). Jefferson City Home Guard Battalion ? ? June-Aug.
DeKalb County Home Guard Regiment ? ? June-Sept.
Hundhausen’s Independent Battalion Lt. Col. Julius Hundhausen 5 companies ??-Oct. 1 Note: Reorganized as Hundhausen’s Battalion U.S.R.C. (3 Years), which was subsequently absorbed into the 4th Missouri Infantry Volunteers. Greene & Christian County Regiment Col. John S. Phelps 13 companies June-Aug. 17 4 KIA/5 MIA Note: Detachment participated in Battle of Wilson’s Creek on August 10. Colonel Phelps was a U.S. Congressman at the time of his service in the Home Guard. After this unit was disbanded he served as commanding officer of Phelps’ Volunteer Regiment and then as military governor of Arkansas. After the war he was elected governor of Missouri. Johnson County Home Guard Regiment Col. James D. Eads 11 companies June-Sept. 1 KIA/1 DOW Note: Participated in the Siege of Lexington Sept. 11-21. Records are available only for field officers and one company: of the two casualties identified, one was a lieutenant colonel and the other a first lieutenant. This indicates the possibility a significant number of casualties may have been incurred throughout the entire regiment. Fremont Rangers Independent Company Capt. William J. Budd 99 Aug.-Dec.
14th Missouri Home Guard Regiment Col. Robert White 8 companies July-Oct. 19 3 KIA Note: Fought at Siege of Lexington Sept. 11-21 and was captured en masse. Lexington Independent Company Capt. 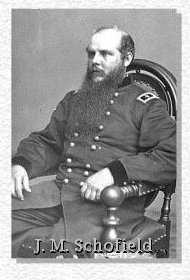 Frederick R. Neet 74 Aug. 12-Oct. 22 Note: Fought at Siege of Lexington Sept. 11-21 and was captured en masse. Brookfield Independent Company Capt. Watson E. Crandall 87 June-Aug.
Livingston County Independent Company Capt. Peter Sutliff 67 June-Sept.
Osage County Regiment and Hickory County Battalion Col. Joseph W. McClurg 17 companies June-Dec. 1 KIA/1 MIA Note: Colonel McClurg was elected governor of Missouri after the war. Pike County Home Guard Regiment Col. George W. Anderson 8 companies May-Sept. 3 Note: Anderson’s father and two brothers served in the Confederate Army, with his father being killed in action in December 1861. After the Pike Home Guard was disbanded, Anderson served as colonel in the 49th Enrolled Missouri Militia and 1st Battalion Enrolled Missouri Militia. He was elected to the United States Congress as a Radical in 1864. 15th Regiment USRC Home Guard Col. James W. Johnson 4 companies June-Dec. 6 1 KIA Note: Detachment fought at Siege of Lexington Sept. 11-21 and was captured en masse. St. Charles County Home Guard Regiment Col. Arnold Krekel 12 companies July-Aug.
On April 8, 1865, a second organization called the Missouri Militia was created, this one by the State Convention. Eighty-four regiments, six battalions, and two independent companies were formed, all of which have been identified and are listed on the chart below. 24th Regiment M.M. Iron County William T. Leeper Note: Leeper, a prominent Missouri State Militia captain during the war as well as Radical Unionist candidate for Congress in 1864, was commonly referred to as “Colonel Leeper” in the post-war period. He was quite controversial and has in modern times been the target of revisionist historical writings in southeast Missouri that assert he lied about being a colonel. However his appointment at that rank and as senior commanding officer of the 24th Missouri Militia Regiment on 23 June 1865 is easily verified through the 1865 Missouri Adjutant General’s Report as well as through personal and regimental records at the Missouri State Archives. Source: Annual Report of the Adjutant General of Missouri for the Year Ending December 31, 1865. (Jefferson City, Mo. : Emory S. Foster, Public Printer, 1866), pp. 635-685. Spellings of names in the above chart remain unchanged from the original document. In studying the Civil War in Missouri nothing is more confusing than sorting out the various hodge-podge of militia units that fought on the Federal side. A general statement regarding a generic militia unit in a military report, newspaper article, diary, magazine, book, etc., should rightly leave the reader scratching his or her head. Too many historians and writers on the war in Missouri tend to lump “the militia” into one broad category. Being apprised of specific instances of prominent, institutionally undisciplined behavior by the troops and/or leadership of one particular militia organization all too often results in unsubstantiated and unprovable claims that other militia organizations were of the same ilk. Such broad oversimplifications give the appearance of falling into one of two categories: 1) at best, the writer has failed to do their homework; or, 2) at worst, the writer is allowing an agenda to supercede objective historical accuracy. This is certainly not to say that specific militia organizations never engaged in wrongful conduct—without a doubt, many if not all of them had troops that crossed the line, just as many soldiers in a prolonged armed conflict are prone to do. What is being communicated is that there were different types of militia in Missouri during the war, and the quality and discipline of each unit was as varied and diverse as the ways in which those units came into existence. The following listing, while not necessarily complete, provides brief profiles of the most prominent militia organizations that existed in Missouri during the War Between the States. 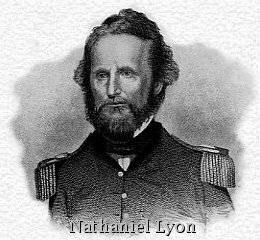 On June 11, 1861, the commander of the Department of the West, Brigadier General Nathaniel Lyon, was ordered by the Department of War to enlist “such loyal citizens” of Missouri as he thought proper to allow those individuals to protect their homes and neighborhoods from the state’s pro-Southern element. With the formational authority being provided by the United States government as opposed to the secessionist state government, this national-level involvement in localized community defense efforts was unique in the course of the Civil War. “(2) Those who were organized, armed, and equipped for more active local service, for which service it was understood they would have a valid claim for pay.” These latter units were called into service by Federal military authorities in Missouri after recruitment quotas for U.S. Volunteers were reached and additional manpower was needed to deal with the deteriorating state of affairs. By the end of 1861 a very confused situation had arisen in that different rules were governing the individual units—some companies were being mustered in on condition that they serve only in Missouri, while others that were actively serving never actually mustered in. In addition, there were units that had been formed without any underlying legal authority whatsoever. To resolve matters the Union command commenced disbanding these organizations in December, while a few had already “relieved themselves from duty,” to provide for their families after coming to the realization there was no chance of obtaining payment for their services. With the Confederate-supporting state government having been ousted from the capital by the summer of 1861, the newly installed Unionist government began assuming responsibility for local defense by creating several organizations to fill the niche served by the Home Guard, including the Six-month Militia in late 1861 and the Enrolled Missouri Militia in mid-1862. In the face of Federal control over community defense in Missouri and the structural deficiencies associated with the Home Guard, on August 24, 1861, the newly installed Unionist governor of Missouri, Hamilton Gamble, issued a proclamation calling into service 42,000 militia “to protect the lives and property of the citizens of the State.” Falling far short of its goals, just over 6,000 men signed up for six-month enlistments into five regiments, eleven battalions, and ten independent companies in the following weeks. Assuming the primary role in local defense from the disbanding Home Guard, the Six-month Militia performed duty primarily in “scouring their counties in search of rebel camps and rendezvous, and acting as scouts and guides to the various bodies of volunteers then in the State.” After a few months the great expense in maintaining this force was deemed to be without a corresponding benefit and the governor ordered it dismantled in January 1862. Its duties were subsequently filled in large part by the Missouri State Militia that was being brought into existence at this time. Coming to grips with the financial realities of fielding large numbers of men to defend the state, Governor Hamilton Gamble developed a plan that shifted the cost to the national government while at the same time allowing him to maintain personal control of the force himself. Meeting with President Abraham Lincoln in the fall of 1861, an agreement was finalized on November 6 wherein a force called the Missouri State Militia was created that was “armed, equipped, clothed, subsisted, transported, and paid by the United States,” but at the same time was not subjected to duty outside of Missouri except in “the immediate defense of the State.” Orders were issued out of the War Department the next day formalizing this agreement, which was further sanctioned by an act of Congress. Initially not having any constraints on the number of troops it could enlist, within months over 13,000 filled the ranks in 14 regiments (each of which had from eight to ten companies), 3 battalions, 2 independent batteries of artillery, and single independent companies of cavalry, infantry, and sappers and miners. Realizing the enlistments would continue to grow, along with the costs associated with them, in February 1862 Congress limited the number of MSM troops to 10,000. This cap was afterward reached through discharges and attrition, and various units were either disbanded or merged until only nine regiments of cavalry and one regiment of infantry were left. The Missouri State Militia saw hard service during the course of the war and was the primary force that engaged the guerrilla threat in the state. It was also the first line of defense when Confederate regulars made major raids into the state in 1863 and 1864 and suffered heavy losses on those occasions (the 3rd MSM Cavalry played a very critical role in preventing St. Louis from falling to Confederate forces in 1864). According to Governor Gamble, the force was “found very efficient,” and General John M. Schofield (future General-in-Chief of the Army) found that in drill, discipline, and efficiency “these troops will compare favorably with any volunteer troops which I have seen.” Consequently they were made eligible for the same reenlistment bonuses as mainline U.S. Volunteers in 1864, and were granted Federal pensions after the war. In the summer of 1862, Confederate Colonel Joseph Porter began a recruiting program behind Federal lines in northeast Missouri. As the Unionist population began to become more and more panicked by the Rebel force in its midst and it became evident the newly-formed Missouri State Militia was stretched too thin to be in all places at all times, the powers-that-be sought a solution. The U.S. Government-funded MSM had quickly reached its cap of 10,000 troops, so additional manpower could not be brought into the field at Federal expense. At the same time, Missouri’s experience in footing the bill on the ill-fated Six-month Militia had provided a costly lesson to the state government and helped it realize that creating another such force was out of the question. A different solution to addressing the wide-spread guerrilla problem would have to be found. In late July 1862 the plan was unveiled. The solution was not to be had by funding a full-time force that would constantly be in service—instead, the solution was to create a force of part-time citizen soldiers that would only be called up in times of emergency, and only have to be paid during those specific times of call-up. The solution was the Enrolled Missouri Militia. On July 22 Governor Gamble issued an order directing Brigadier General John Schofield to organize this militia. Acting with haste, that same day General Schofield issued his own order directing every able bodied man in the state to report immediately to the nearest military outpost to enroll and be sworn into the new militia organization. The net effect was that tens of thousands of fence-sitting men of military age were brought into the military fold. At the same time, thousands of other fence-sitters that were quietly supporting the South were forced to make a decision whether to serve in a Federal unit, or to flee the state and enlist in the Confederate Army. While many men did pursue the latter course of action, over 52,000 others remained behind to form the militia force that eventually reached 85 regiments, 16 battalions, and 33 independent companies. On average, most men in the EMM served only a few weeks of active duty over the course of the next two and a half years. Given the nature of the organization—which naturally included disloyal men, men that would not otherwise have been qualified for service, and men that had little desire to serve—the EMM was destined for controversy. Many of the troops called to duty used their positions for their own financial gain, or to settle personal scores with enemies (prompting occasional references to it in the Union press as being the “Enraged Militia”). Nonetheless the Enrolled Militia did fill a Unionist need by freeing up the MSM and other frontline U.S. troops for duty in the field while it conducted local patrols and garrisoned towns. Veterans of the EMM were not eligible for Federal pensions after the conclusion of the war. This new force, the Provisional Enrolled Missouri Militia, was formed under the authority of the EMM and the military status of the men that served in it was the same as the original force with the exception that it would be a full-time organization. As the thinking went, a reduced force of full-time troops would be as effective as a larger force of part-time troops. The PEMM began organizing in May 1863 by detailing picked men from the individual EMM regiments (this force was most commonly referred to as the “Detailed Militia”). In order that the personnel could concentrate on the job at hand and not have the distractions that marred the original EMM, the troops chosen for the PEMM were those “who could most easily be spared from their ordinary avocations, having but few if any others dependent upon their labor for support” and would be “commanded by judiciously selected officers.” While the state was responsible for paying them, their clothing, camp and garrison equipage, and medical supplies were provided by the United States. Eleven regiments and one independent company were formed, which were placed under the overall command of General Schofield who referred to them as being “a real addition to the effective force in the department.” Because of the nature of their service, veterans of the PEMM were eligible for Federal pensions after the war. The PEMM was marred by self-destructive political infighting between the Conservative Unionist governor, Hamilton Gamble, and large numbers of Radical Unionist troops that were detailed to it. Because of this, most of the regiments were disbanded to prevent them from having any influence over the November 1863 judicial elections. Two regiments remained in service until the end of the conflict after being converted to U.S. Volunteer cavalry regiments in 1864. The sixty-two companies that were formed under Order 107 differed from the Provisional Enrolled Missouri Militia in three major respects—they were organized as independent companies as opposed to being but one company in a larger regiment; their enlisted personnel were chosen by county committees as opposed to EMM officers; and their duty was intended to be temporary and local along the lines of the regular EMM, as opposed to permanent and regional as in the PEMM (consequently, unlike the PEMM, veterans of the Provisional Companies were not eligible for post-war Federal pensions). In anticipation of the disbanding of the Enrolled Missouri Militia scheduled to take place on March 12, 1865, as well as the ongoing expirations of enlistments of most of the troops in the Missouri State Militia, the present commanding general of the Department of the Missouri, Major General Grenville Dodge, sought to create a replacement force that “would be more effective and available, and at the same time less expensive to the State.” The result was the Missouri Militia, a creation of individual independent companies to be provisioned by the U.S. government and paid by the counties in question and the disloyal citizens that resided therein. In the waning days of the war the State Convention adopted an ordinance requiring a state militia force to organize into platoons, companies, regiments, and brigades (marking a shift from creation by military fiat to creation by civil authority). Created on April 8, 1865, this version of the Missouri Militia survived long after hostilities finally ended and was the primary force that addressed the lawless element that engulfed post-war Missouri. Eighty-four regiments and six battalions were formed.